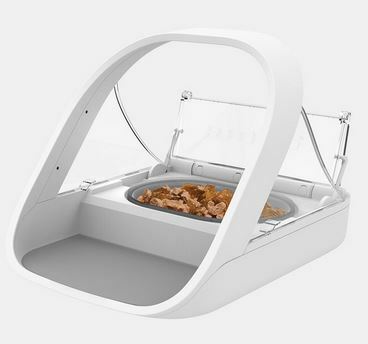 SureFeed Microchip Pet Feeder is designed for multi-pet homes to stop pets stealing each others’ food. Featuring a sealed bowl that keeps food fresher and free of flies, it is great for pets on weight management diets. Compatible with all identification microchips worldwide & SureFlap RFID collar tags. Below are some recent questions we've received regarding SureFeed Microchip Pet Feeder, including answers from our team. This is suitable for any pet that has an identification microchip.